In the first two decades of the 20th century ANDRÉ DERAIN was near the centre of avant-garde developments in Paris. He was one of the creators of Fauvism and an early adherent of Cubism, but his later work was increasingly based on that of the old masters. 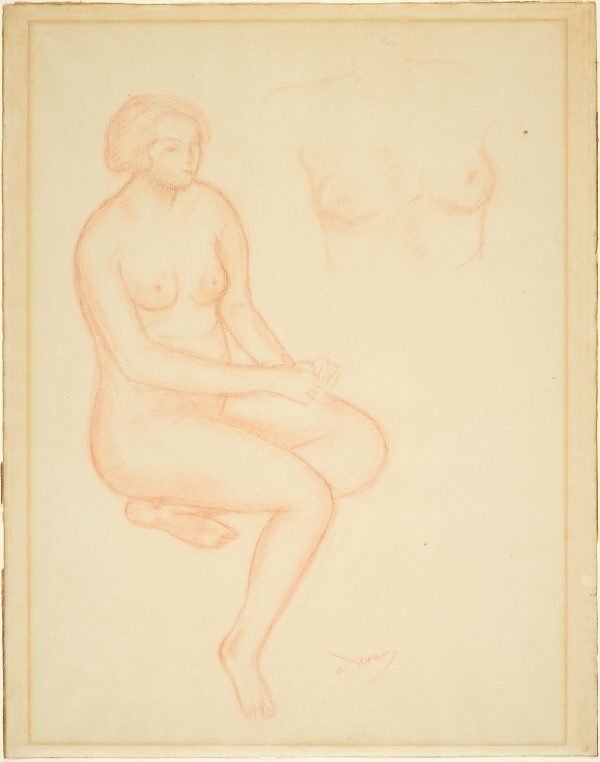 The drawing almost certainly dates from the 1930s when Derain painted numerous large-scale nudes. Signed l.c., red chalk "a derain". Not dated.